The research report titled “Cosmetic Chemicals: A Global Strategic Business Report” announced by Global Industry Analysts, Inc., provides a comprehensive review of trends, drivers, issues, and strategic industry activities of major companies worldwide. The report provides market estimates and projections in US$ Million for major geographic markets such as the US, Canada, Japan, Europe, Asia-Pacific, Latin America, and Rest of World. Product segments analyzed include Cleansing Agents & Foamers, Emollients & Moisturizers, Fragrances & Flavors, Processing Aids, and Specialty Additives (Active Ingredients, Colorants, Conditioning Agents, Preservatives, and Other Specialty Additives). 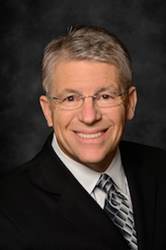 Dr. Louis DeJoseph, one of the partners of Premier Image Cosmetic & Laser Surgery and one of the respected cosmetic surgeons in Atlanta, has announced that his practice has added Restylane Silk as a new injectable treatment. According to Dr. DeJoseph, Restylane Silk is the first and only FDA-approved product designed for subtle lip enhancement and to treat nasolabial folds, which are the wrinkles and lines that form around the mouth also known as smile lines. Restylane Silk consists of a clear gel that is comprised of hyaluronic acid, which is a natural sugar found in the skin. The gel formula is then injected into the skin with a specially designed ultrafine needle. Because Restylane Silk utilizes smoother and smaller particles than what is typically used in other Restylane treatments, it creates more natural-looking results. “The ideal candidate is anyone wanting softer, fuller lips,” said Dr. DeJoseph. 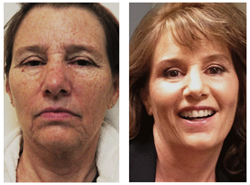 Premier Image Cosmetic & Laser Surgery began offering Restylane Silk on January 22 to patients. Dr. DeJoseph said typically patients will begin to see their desired results after just one treatment. He also added that there is minimal downtime for patients who undergo a Restylane Silk treatment, which is another important benefit. 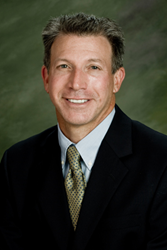 Dr. DeJoseph is a national trainer for the leading brands of neurotoxins and facial fillers. He said adding Restylane Silk to his practice’s growing portfolio of facial fillers was a natural fit so that his patients have access to a more subtle approach to enhancing the lips. Additionally, Dr. DeJoseph said Premier Image Cosmetic & Laser Surgery is one of the few practices in the southeast to offer Restylane Silk. “Restylane Silk is viewed to have more subtle results, which is attracting audiences from all ages,” added Dr. DeJoseph. Founded in 1970, Premier Image Cosmetic & Laser Surgery was the first cosmetic surgery practice in Georgia to specialize in aesthetic plastic surgery for body and facial procedures. With a foundation of excellence, Premier Image Cosmetic & Laser Surgery is dedicated to the advancement and development of cosmetic and laser surgery techniques. Dr. DeJoseph and Dr. Marc Klein have set the standards for superior care and results at Premier Image Cosmetic & Laser Surgery. 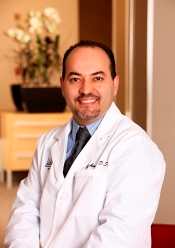 Dr. DeJoseph’s focus is centered on relationships because he recognizes cosmetic procedures are a very personal choice for the patient. More information about Premier Image Cosmetic & Laser Surgery and Dr. DeJoseph can be found at http://www.picosmeticsurgery.com. The Copley Consulting Group announced today that Copley and Infor SyteLine have been selected as the implementation Partner and ERP Solution for Northwest Cosmetic Labs, a manufacturer of prestige skin care and cosmetic products. As a contract manufacturer, Northwest Cosmetic Labs (NCL) prides itself in four attributes that make it unique: innovation, service, quality, and integrity. The company is certified by many organizations to produce products under regulatory guidelines including: FDA Registered OTC Drug Establishment, FDA Registered as a Manufacturer of Exempt Medical Devices, and Natural Products Association (NPA) Certification, to name only a few. Shu Cosmetic Surgery is now offering Liposonix treatments, the latest in non-invasive fat reduction technology. Liposonix uses high-intensity focused ultrasound (HIFU) energy to permanently destroy targeted fat cells without surgery. The Liposonix system technology works by focusing ultrasound energy below the surface of the skin in order to melt only targeted fat tissue – similar to how light from the sun can be focused with a magnifying glass. The treated fat tissue is removed through the body’s natural healing process, leaving the patient with a thinner, more contoured waistline. During the treatment, patient may experience some discomfort, prickling, tingling or warmth. After treatment, patients may experience temporary mild redness, minimal bruising, and swelling. There is no special post-care or special diet or exercise program required in order to achieve results. Patients typically resume normal activities immediately after the Liposonix procedure. Liposonix is not intended for those that are pregnant. It is also not recommended for those who cannot “pinch an inch”. “Our patients are very happy with Liposonix because it delivers results without the risks typically associated with surgical fat reduction procedures. It is not liposuction, or a replacement for a healthy lifestyle and exercise; but it is a quick, easy way to help patients slim that last inch and hit their personal shape goals,” stated Dr. Shu. Steven Shu, MD, MBA, is a board certified laser surgeon and an expert in office cosmetic surgeries in Minnesota. 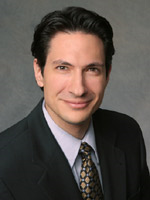 He is a member of the American Academy of Cosmetic Surgery and has adopted many advanced cosmetic surgery techniques to achieve ideal results with more efficiency and safety. Shu Cosmetic Surgery offers a full line of cosmetic surgery services. All cosmetic procedures are performed in the accredited private surgical center in Edina, Minnesota. For more information on Shu Cosmetic Surgery, please visit the center’s website at http://www.shucosmeticsurgery.com or http://www.rejuvelaser.com. One component of the treatment is a new micro fractional radio frequency technology, which is designed for simpered tone, texture and tightening of the skin. The skin’s natural reaction is to generate new collagen which results in improved volume and younger looking skin. The procedure is quick and down time is minimal, with amazing results and without having to go under the knife. It can be used in combination with specially selected technologies and skin care products to aid in healing and maximize results. Dr. Mauricio says The Time Machine Procedure℠ is the preferred anti-aging treatment for international celebrities such as Marla Maples, Black Eyed Peas’ Apl de Ap, Hilda Koronel, and Gabby Concepcion among others. For more information call Vitality Medical and Cosmetic Center at 405.896.9283 and visit http://www.vitalitymcc.com. For more information on the Time Machine Procedure℠ availability across the country visit http://www.timemachineprocedure.com and call 800.759.6876. Our approach is simple – “Offer the latest technology, coupled with best-in-class products and procedures at an affordable price – all while bringing tremendous value to our patients and restoring their quality of life.” We view every opportunity to serve our patients as an honor and take great pride in our facility, our staff and the services we offer. Our vision has always been the same – to be Oklahoma’s premier center for anti-aging and regenerative medicine. At Vitality, we believe the quality of our lives’ is directly impacted by the way we look on the outside and feel on the inside. Our ultimate goal is to help patients lead active, fulfilling lives by looking and feeling more vibrant and youthful. We accomplish this by providing patients with the latest technologies in aesthetic and regenerative medicine, all in an inviting atmosphere focused on the highest standards in customer service.